Valentine’s Day has come and gone, and all we have left is our feelings. Thankfully Cuco was there to fill the void in our hearts. 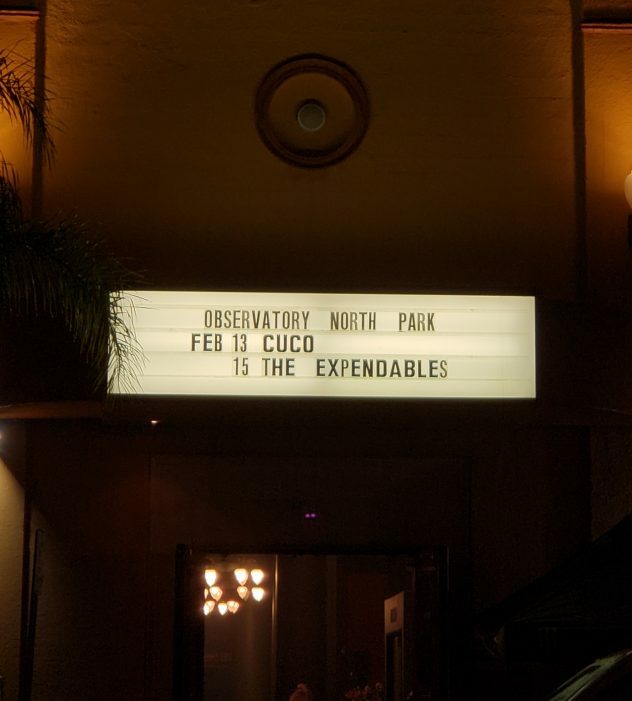 The up and coming artist, Cuco, brought out those emotions live at the North Park Observatory on Wednesday February 13. 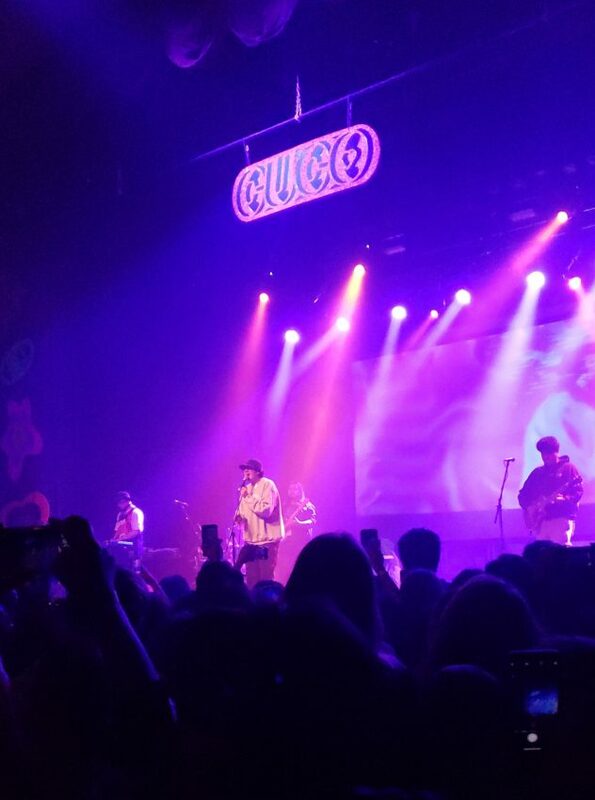 With Cuco’s “Shows de San Valentín“, he was able to play at a few select cities in Southern California to bring the fans what they really want: a night to ‘simp out’. Cuco, or Omar Banos, is a 20 year-old Chicano singer from Hawthorne, California who has created several sad boy tunes such as, “Lo Que Siento“, “We Had to End It“, & “Dontmakemefallinlove“. With songs like these, you can expect to cry or have your own personal simp hour. With that said, I was looking forward to see what Cuco would bring during his San Diego stop. After a long line of fans and rain pouring onto attendees, it was safe to say that this concert would bring strong emotions. Having been a longtime fan, I was excited to finally see an artist who represents my culture and my taste in music. While this night was much more focused on Cuco, he did not shy away from playing songs like, “Summertime Hightime” and “Lucy” with KWEST which brought out a more rap-emphasized part of the night. One of the best aspects of this concert was that one of the openers, KWEST, played the piano for Cuco during his set. Everyone on the stage seemed like great friends with each other and they are partook in creating an amazing experience for concert goers. At one point during the show, Cuco had announced that he was feeling ill & still in pain from a past car accident, but reassured his fans that he still wanted to jam out that night. One of his more well-known songs, “Amor de Siempre,” is a song entirely in Spanish which set the tone for the night. The lyrics for this song really emphasize the feeling of falling in love with someone and having them on your mind wherever you go. During this moment, I watched as everyone in the crowd sang their heart out because of how sentimental the song made them feel, especially the couples who were celebrating an early Valentine’s Day. Honestly, having the opportunity to hear my favorite song in my native language was a dream come true. If you’ve heard at least one song by Cuco, you should know anout his famous trumpet solos; to my excitement, he played beautifully for all his fans. With the night slowly coming to an end, Cuco played his hit “Sunnyside” to bring the love back into the venue for all lovers to enjoy. Luckily, we were able to hear one of his most unique & hilarious song called, “CR-V“, which was dedicated to his own car. Just imagine how amazing it is that an artist can create a song about their car and make it relatable enough for everyone to end the night with a big smile on their face. Once the night ended, I couldn’t help but feel so relaxed from a night of “summer love” and “summer heartbreak” jams. 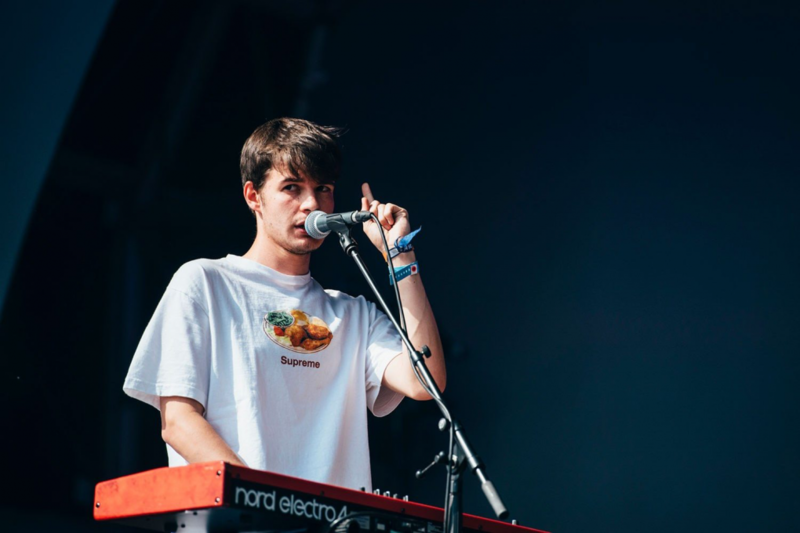 The artist, Cuco, showed his fans how talented he is with his smooth vocals, especially while feeling ill. If there’s one thing I can say after seeing Cuco last week, I would say that his performance really set a high expectation for other artists that fit this type of genre. If you’re interested in listening to Cuco’s music, I must prepare you ahead of time by saying, break out a box of tissues before you hear “Lo Que Siento,” because you’re going to either miss your ex, cry, or both.